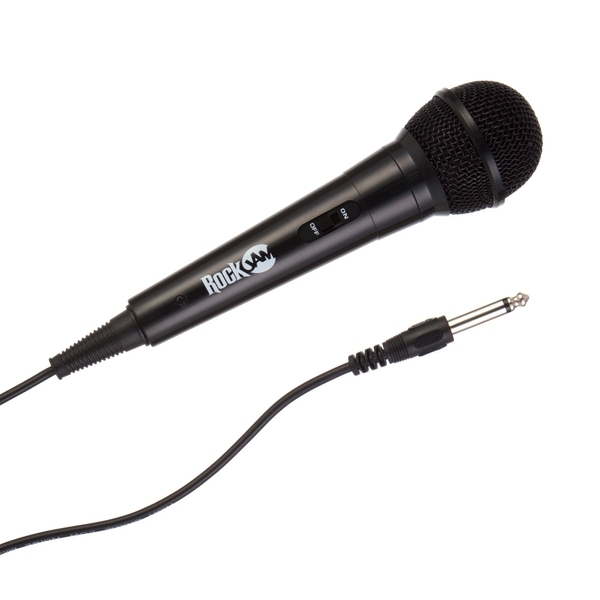 Make your next performance a duet with the RockJam Uni-Directional Dynamic Microphone. Plug the mic into an available microphone jack on your karaoke machine and get your friends and family in on the fun! This RockJam Uni-Directional Dynamic Microphone features Wide- Frequency Response and High Sensitivity to add the power to your power-house performances! Singing alone is fun, but singing with someone else is a party! Simply connect your new RockJam microphone to your karaoke machine's microphone jack and let the fun begin!